Update - Jäll & Tofta Rocky bed available locally at Lilly & Lolly! 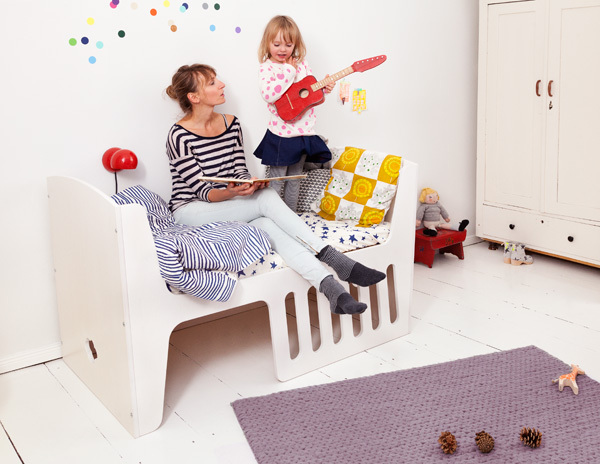 Update – Jäll & Tofta Rocky bed available locally at Lilly & Lolly! Have you been pining for the all clever, all transforming Rocky bed from Jäll & Tofta. but long distance meant a nursery crib relationship wasn’t to be? Prepare for happy tears Babyologists, you can now pre-order the all awesome Rocky locally at Lilly & Lolly! A big nod to clever design and excellent functionality, the German designed , morphs from a sweet rocking chair and cradle combo to a crib and a children’s bed with an underneath hideout – that’s some serious design bang for your buck. Available in white with a charcoal cushion, it’s a perfectly unisex colour option for contemporary nursery spaces. Priced $1999, you can even order the mattress to fit for an additional $199, all available from Lilly & Lolly.